The original idea behind the Theme Music Hoodie was to be able to have a quick way to a.) share your favorite music with others and b.) carry your own soundtrack with you wherever you go. The hoodie has an LilyPad MP3 and two speakers sewn into a piece on lining on the inside of the front pocket. Five buttons are located on the left side of the pockets, and each button triggers a different piece of music loaded from a micro SD card. Music is closely tied with one’s identity, emotions, and culture. It can play a significant role in not only shaping who we are, but also how (we want) others to see us. Many romantic couples have a song they call their own, and most people have a favorite artist or band, even if it changes frequently. People wait in long lines for the doors to happen before a concert. People scream and cry during performances. Religious music has long been a mainstay, with many of the West’s greatest composers wrote songs of worship. Break-up songs and movie soundtracks have a unique ability to draw out the emotions of an audience. What you wear signifies something to those around you. While Elizabeth Wilson was expressly writing about dreadlocks in “Oppositional Dress”, the sentiment remains the same for any style – it “is an open and deliberate sign of affiliation and both friends and foes recognize it as such” (Wilson, 255). One’s style categorizes him into a specific cultural group of like-minded individuals (Barnard, 20). In this way, fashion goes hand-in-hand with music. 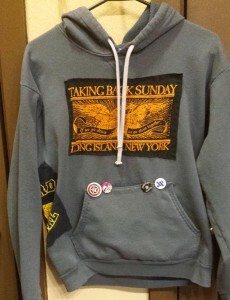 Many people connected to a particular music scene already “wear” their music on their sleeves in the form of band/music shirts and clothing, pins, buttons, accessories, and patches. 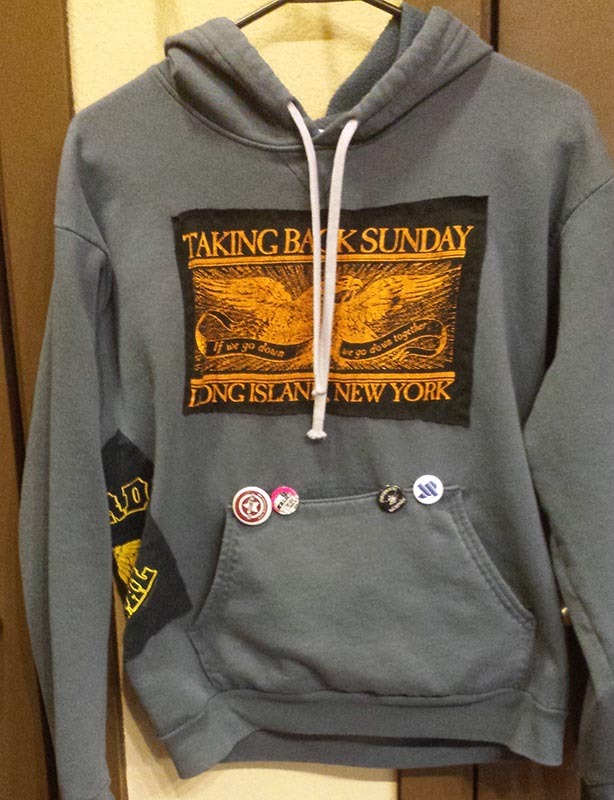 The Theme Music Hoodie follows this kind of DIY aesthetic, complete with a few patches ripped from old t-shirts and some pins I had lying around and the added bonus of pushing the music/fashion idea a little further. There are so many interesting things on this website that I admit I start browsing and quickly feel overwhelmed. For the purposes of Fashioning Circuits, I find the “E-textiles” section very interesting. I have never ordered from them, so I can’t speak to customer service. I’ll update this when I have a chance. 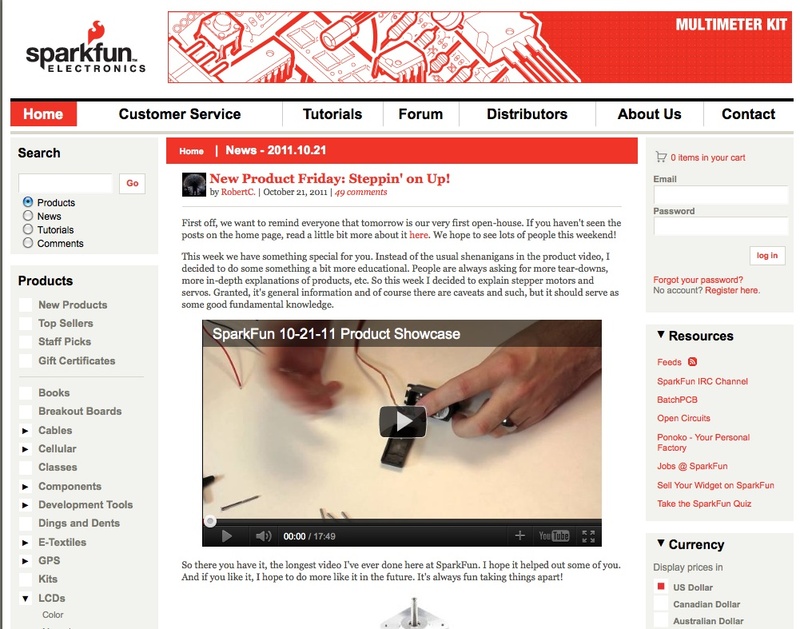 Update: Lots of us at Fashioning Circuits have been getting our supplies from SparkFun with really positive results. They ship quickly and the stuff arrives in good shape.